The Pine Research Headstage Cable Kits can be used with several types of FSCV potentiostat systems. The optimal choice is the WaveNeuro FSCV Potentiostat System. 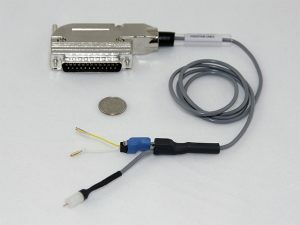 The same headstage cable kit can be used for the UEI FSCV potentiostat systems that have been obtained through the University of North Carolina at Chapel Hill, directly (without an adapter).